Bono's got the writing bug in a big way. In addition to finishing U2's upcoming album, No Line On The Horizon, for which he's penned "50 to 60" songs, he'll sit down at his MacBook next year and make some real money - by writing for the New York Times. 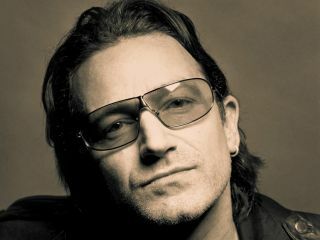 It is said that Bono will crank out between six to ten pieces for the newspaper, ranging on topics from Africa to poverty to the music of Frank Sinatra. All of which sounds fine and good, but if we see a foaming review of the U2 album carrying the byline "MacPhisto," we'll be a tad suspicious. Bono isn't the only rock star Rosenthal has his eye on for editorial content. He has also expressed an reacquiring the services of Queen guitarist Brian May, who has already contributed articles on astronomy.